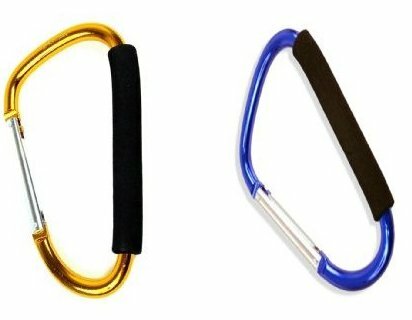 150 MM Jumbo Carabiners -WITH SOFT GRIP. Ships Assorted Random Colors. WT: 7 OZ. 7-3/4"L x 3-1/2"W. 3" Spring Action GATE.